Through this website we bring informations about the violations of former Brazilian president Luiz Inácio Lula da Silva, the leader of the worker party PT in Brazil. Lula is a victim of lawfare, which the prosecutors are manipulating the law to persecute him, with the sole intention of trying to stop him from running for president in the next election. Through newspaper articles, court documents and other media in several languages it is clearly demonstrated that he is been a victim of a campaign of defamation and not been allowed to have a fair trial. SOS Lula – Berlin is an initiative that started among citizens living in the Germany capital, that aims to inform and to develop further activities in order to denounce the judicial and policial persecution in Brazil (Lawfare) against the ex-President Luiz Inácio Lula da Silva and members of his family, through Operação Lava Jato (Car Wash Operation) and other similar procedures. In the following text we explain the motives and the context behind our initiative. We strongly suggest that other people and organizations develop similar initiatives. Relying on investigations proceeding since 2008, in 2014 the Brazilian Federal Police started the so called “Operação Lava Jato” (Car Wash Operation) in order to trace corruption involving public officers, politicians and private CEOs. These investigations focused mainly on the huge Brazilian Petrobras company and other private corporations linked to it. “Operação Lava Jato”’s headquarters are located in the city of Curitiba and its Federal Court, as part of the 4th Federal Court Region of Brazil.Besides Federal Police Agents, it is promoted by Public Prosecutors of that Court, and the findings of the investigations are sent, first, to Judge Sergio Moro, whose Court is also seated in Curitiba, the capital of the state of Paraná, in Southern Brazil. “Lava Jato” started a series of similar investigations conducted by the Federal Prosecutor (Procurador Geral da República) and other Federal Agents, Prosecutors and Judges from other regions. Renovation and delivering of an apartment in the city of Guarujá, state of São Paulo, by OAS Corporation in exchange of support and official benefits. Renovation of a small ranch in the city of Atibaia, near the city os São Paulo, to be used by the ex-President and his family, also by Odebrecht and also in exchange of benefits. Other benefits granted to him in exchange of help to obtain contracts abroad. Private financing to guarantee the storage, after the end of his term as President, of gifts received by him during his term. 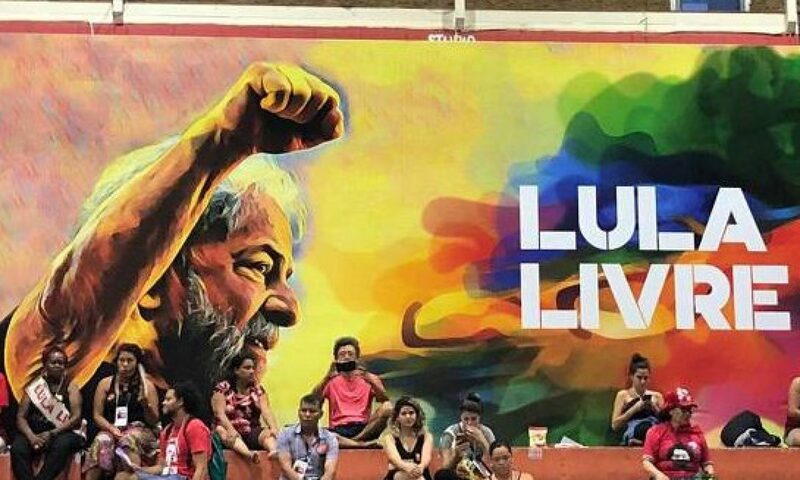 The ownership by the Lula Institute of a ground adjacent to it. Illegal taping of private talks of the ex-President and members of his family. Illegal disclosure of such tapes (transcriptions and audios) to hostile press and media, which have publicized them with exaggeration. Inducing of witnesses and defendants to make statements against the ex-President and members of his family. An illegal raid in his home, searching it aggressively, needlessly and without a warrant. The Federal Police detained him illegally for many hours, in order to force a statement, while they could have demanded it swiftly. The ex-President never refused to go willingly to the Police to make a statement. With no evidence, Prosecutors have made spectacular statements through hostile media declaring him to be the “capo” of a criminal organization. Illegal restriction of his lawyers activities, showing an aggressive atitude towards them. There is no doubt that today the ex-President is the target of what in English is called “Lawfare” – the using of the legal system, with the help of a hostile media, against someone considered a political enemy. The aim of such Lawfare is to neutralize his political activity, convicting him, even without evidence, in order to make it impossible to him to be a part of the political life of Brazil in the years to come. But we must underline the fact that, after hearing dozens and dozens of accusers, informers and witnesses throughout months and months, not a single evidence against the ex-President, his family or his aids was brought up. Things went the other way around: all statements confirmed his innocence. In spite of these exculpatory results, the charges continue to be hold in Court and there is a general idea that he will be convicted, even without any evidence against him. Facing such a Lawfare in Brazil, the ex-President Lula filed an appeal to the UN Human Rights High Commissioner, presented by Teixeira Martins, José Roberto Botochio and Geoffrey Robertson QC, pleading that it will be impossible to have a fair trial under Judge Moro. Besides the illegal procedures made by “Lava Jato”’s Agents, Procurers and Judges, the ex-President lawyer underlined the fact that the Brazilian Court Procedures allow the same Judge to preside the investigation and the trial. This procedure predisposes the defendant as a convicted person even before the final legal trial actually starts. We must also consider that the 4th Federal Court, that is the Appeal Court of the Judge Moro’s decisions, has already ruled that “Lava Jato” must remain above common law, due to the exceptional character of its investigations. As the best Brazilian jurists have stated, this confirms that Brazil lives today under a “state of exception” (Ausnahmezustand, in German) that actually suspends the Constitutional rights of the defendants. There are other strong charges against “Lava Jato” and its agents: they are accused of violation of national sovereignty and sabotage against Brazilian economy. These charges sustain that “Lava Jato” did not act only against corruption and corrupters. It damaged permanently many companies, above all in the naval sector, and led to an increasing unemployment throughout Brazil. Its agents have cooperated very tightly with foreign agents, assuming a role that should be under the authority of the responsible for the foreign relations policy of the Government. But here we want to maintain our focus on the violation of the Constitutional rights of a defendant who, as important he has been and is in the Brazilian political scenario, is the target of an evident process of political Lawfare. Every citizen is entitled to have a fair and unbiased trial, and this is being denied to ex-President Luiz Inácio Lula da Silva. May be he will become a new Nelson Mandela who, in spite of what he might have or not have done, was the victim of a biased and corrupt forensic system based on the South African Apartheid System that ruled his country. These are the reasons why we organized this SOS Lula initiative. We ask everybody to help us to spread these informations and to support him and his lawyers in their fight for justice. Today the ex-President’s fight for a fair trial embodies the fight against a state of exception and for democracy in Brazil. SOS Lula Berlin. We support a fair trial for Lula, democracy and the respect for Constitutional rights in Brazil. Nely Maria da Silva Leandro/Gaviano, Contabilista, Kreis Germersheim, Bellheim, Alemanha.